Breeders need the right nutrition to perform well. Is there a sweet spot of pasture utilisation that will sustainably increase breeder productivity in northern Australia? 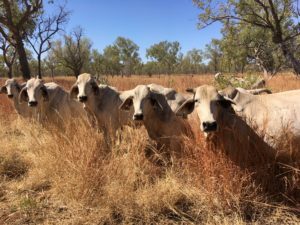 There is an untapped gold mine of breeding herd production data from sites across northern Australia. We will use existing datasets to ask new questions, getting the most out of research that has already occurred. Develop tools to improve breeder productivity and maximise profitability. Increase beef production efficiency with a reduced cost of production. Dr Kieren McCosker, Department of Primary Industry and Resources, Katherine NT, 08 8973 9771 or kieren.mccosker@nt.gov.au. Project Team: Northern Territory Department of Primary Industries and Resources, Queensland Department of Agriculture and Fisheries, Queensland Department of Environment and Science, Karingal Systems and Trudi Oxley. Download a copy of the Sweet Spot project flyer (PDF, 4.45MB).